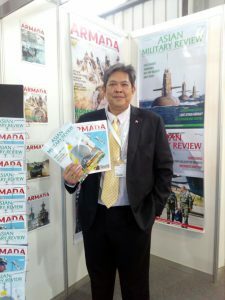 Armada International is a leading defence magazine which reports and analyses defence systems, equipment and technology. 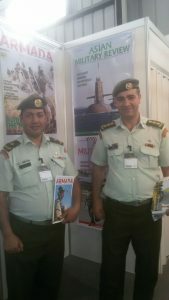 Together with its Compendium supplements, ARMADA provides defence planners in the militaries, government, procurement and in the defence industry with the information they need to plan their strategies. 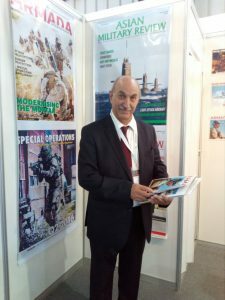 The bi-monthly magazine has a high quality readership of more than 25,029 (ABC audited) in 189 countries. The magazines’ outstanding print and layout quality and long shelf life make Armada the ideal media vehicle for advertisers’ global marketing efforts. 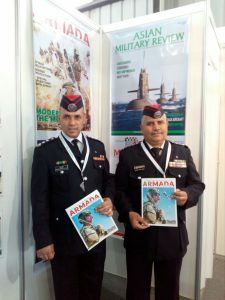 Armada International is media partner and has bonus distribution at all leading aerospace and defence. If you would like to receive our media kit or a quote, please contact your local representative (listed below). Apart from regular print & online advertising, we also have innovation advertising options. We have a host of options to meet all your marketing needs.